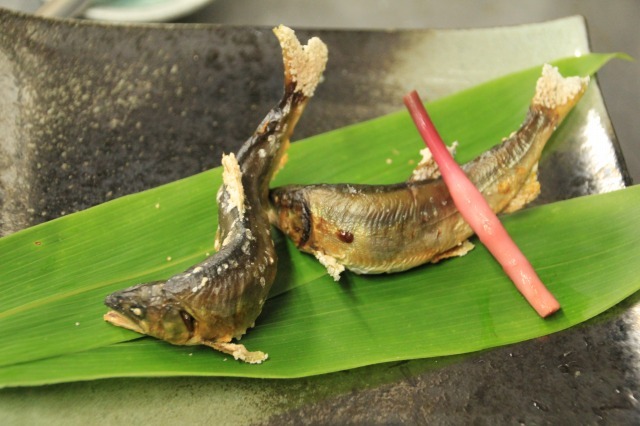 The most popular way to eat Ayu is grill with salt and it's one of the most popular dish of our Seasonal Omakase (tasting) Course. 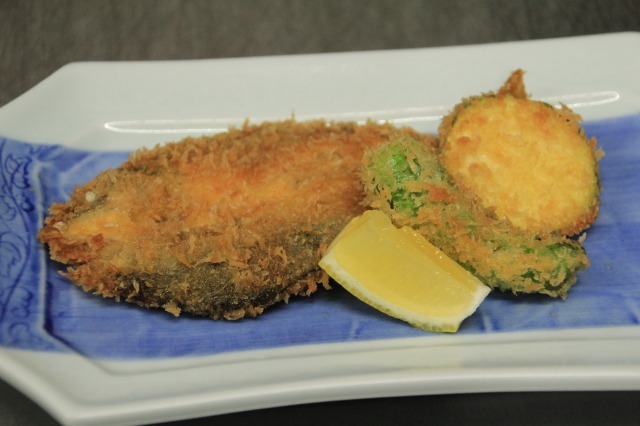 To the customers who love Ayu, we may offer over-night dried or deep fried Ayu additionally. 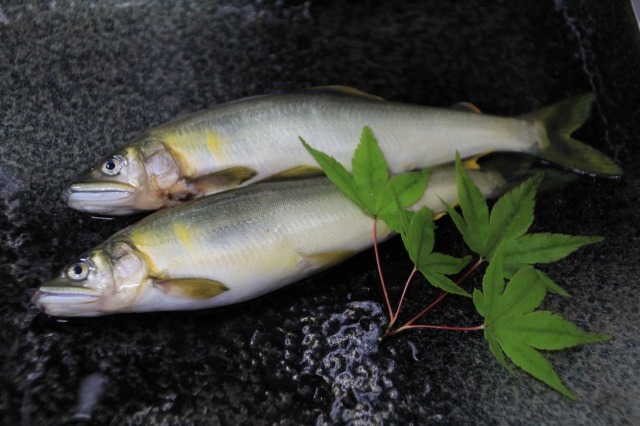 As Ayu is called sweet fish, its tastes mild and tender. 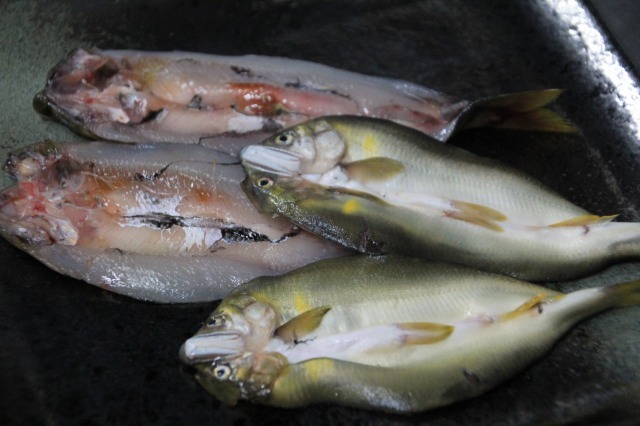 Simply sprinkled salt is more tasety than those with rich sauce for the deep fried Ayu. 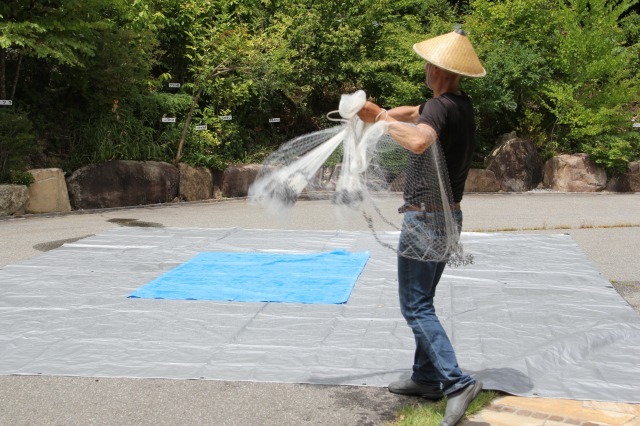 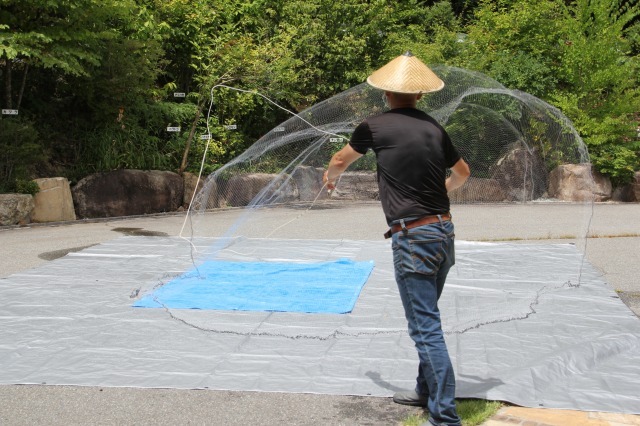 Today, the ban of the cast net fishing Ayu if lifted. 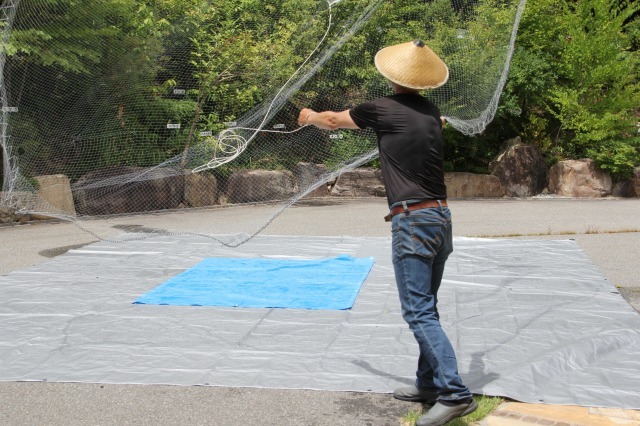 The owner chef who sticks natural procurement cooking is practicing casting the net on Ayu for tonight.